Today we are going to have some Easter egg fun! 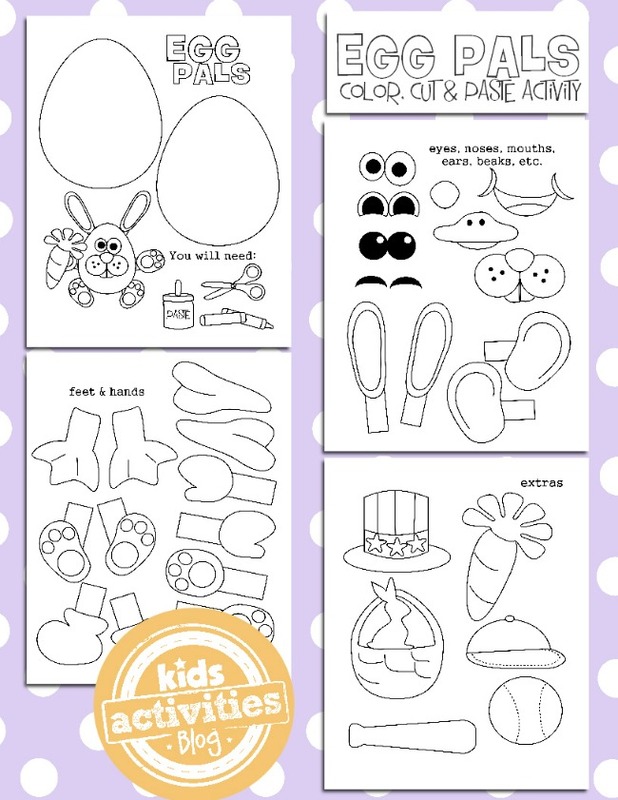 This is a printable Easter egg coloring pages set that is actually an Easter printable for kids! Oh, and it is soooooo cute! The four sheet set has everything you need to decorate “eggs”! Grab your crayons, scissors and some glue because we are going to have some Easter fun! Feet and hands to add to the eggs. My favorite is the duck feet! This Easter printable set is a fun way to spend an afternoon at home or would work as a classroom activity! Show Us Your Child’s Easter Egg Creation! Print this activity out and then let your kid create! Once the finished product is complete, please snap a picture and upload it to our FB page. We adore seeing all the fun that you had. We love finding free downloadable coloring pages for kids which is why we went a little crazy and searched the internet over for 25+ Easter coloring pages for kids. We also have a really sweet set of 25 Easter coloring pages that you won’t want to miss. Thanks for this great idea. Think I might just have to colour one in as well. I’ve been looking for some fun Easter activities to do with my kids. I think I enjoy coloring and doing these activities as much as they do. You have so many great ideas. I found your blog a few days ago. I posted on my blog (http://amominneedofadvice.blogspot.com/2014/03/activity-time.html) that I’m in need of activities to do with my kids and a friend directed me here. You are very creative and inspiring!!! Thank you for sharing all of your great ideas. None of the links go to the egg pals! Would love to print and do these with my kids. ??? I just printed two copies for my kids and they will love this! We are doing an egg decorating contest with our family this Easter and I’ll put out some more copies for the other kids to do as well. I’ll be posting a blog about our experience, and if you don’t mind, I’ll reference your wonderful post. Thank you so much! This is very fun, cute, & clever. Thanks for this great idea! I’ll do with my students and with my daugthers too. I think they’ll enjoy a lot! We’ve got a half day of school coming up and these printables would be perfect for my school age kiddos! Thank you for linking up to the Thoughtful Spot Blog Hop!